You are here: Home › BlackBerry Information › Is your BlackBerry Nuked? Is your BlackBerry nuked? 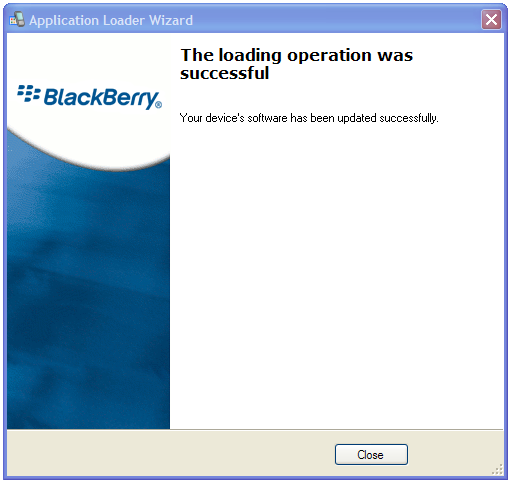 When your BlackBerry is stuck in a reboot sequence, the BlackBerry is considered “nuked”. However, there is a solution to this problem. Please follow the steps below. Important: Before following this procedure, remove your memory card and see if this solves the problem. A memory card issue can put your BlackBerry into this state. The problem is that because the device is stuck in a permanent reboot sequence (or loop) it does not allow a proper connection via USB to desktop manager, and as a result, you do not have a chance to reload the Operating system. 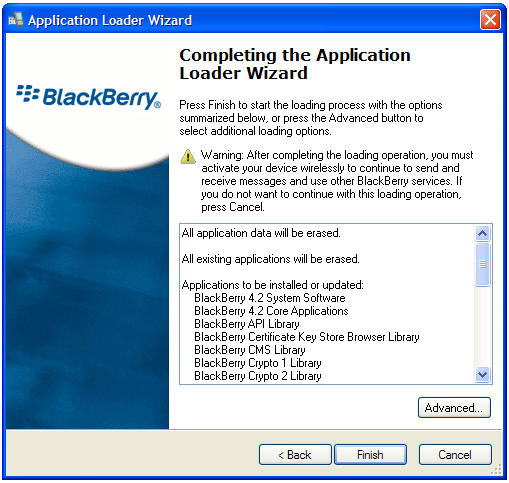 Once there, you will find a program named “Loader” Double click on this and open Loader. You are now at the trickiest part. This needs your full attention. 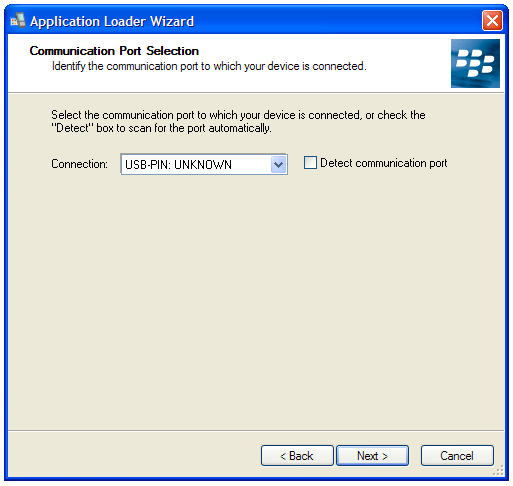 Plug in your BlackBerry while you are at the above screen. Where it says “Com1”. The second it says USB-PIN:UNKNOWN immediately click “next”. This will only happen for a few seconds when your BlackBerry is at the beginning of its reboot cycle (or loop). The easiest way to make this happen instead of waiting.. is to pull the battery, and wait right after the battery is reinstalled. At this point, your in the home stretch. While updating, your BlackBerry is out of the reboot cycle. 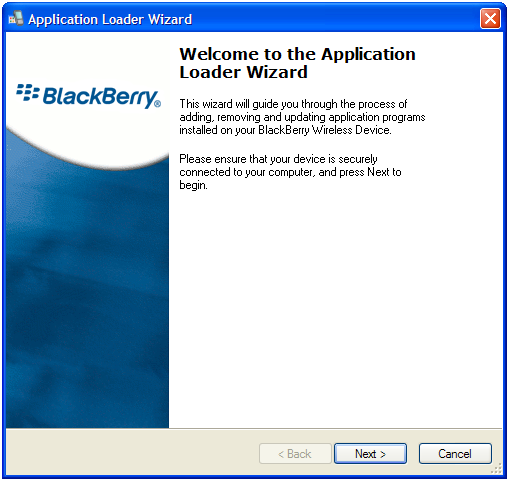 Select whatever applications you would like the apploader to install and continue through the apploader. That’s it. 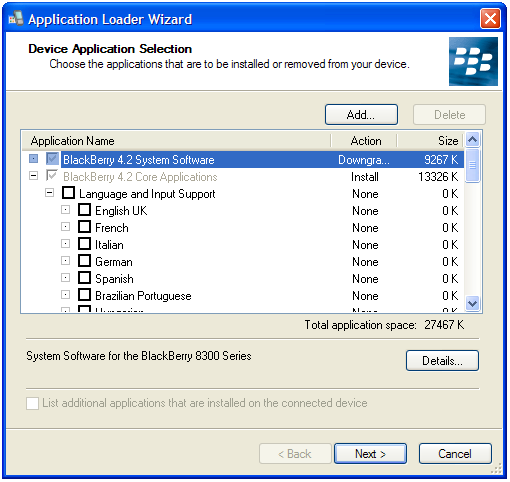 You now have a BlackBerry with a crisp and clear operating system. Open up Desktop Manager and load the latest backup of your device. If you do not have a backup, unfortunately it means a fresh start, everything on the device has been lost.